Airplane camping? In the Kodiak, you go places your car can't. And that's what we set out to do in our latest adventure near Utah's beautiful Canyonlands National Park. 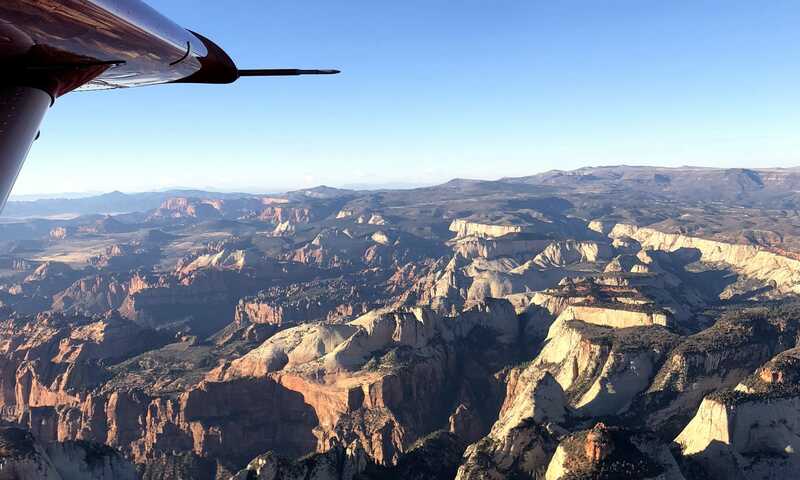 We flew with our partners, Redtail Air Adventures and NavTec Expeditions, up the Green River. This is exactly what the Kodiak was built for. Like an off-road capable SUV, each of our two Kodiaks delivered a party of six plus all the gear for a quick weekend getaway. Click to view the film version of this story at AOPA online. 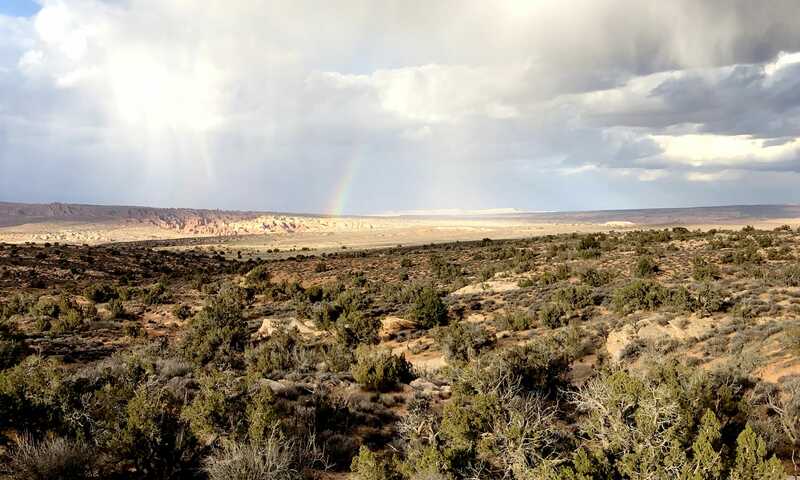 Our trip took us along the Green River past ochre red bluffs and miles of winding canyons to Mineral Canyon, the landing place that served as our base camp. For this journey, we had special guests including editors from AOPA and Chris Burkard studio, the famed photographer and videographer. We couldn't have provided them a better background for their stories. With our gear unloaded, we made camp for the night. 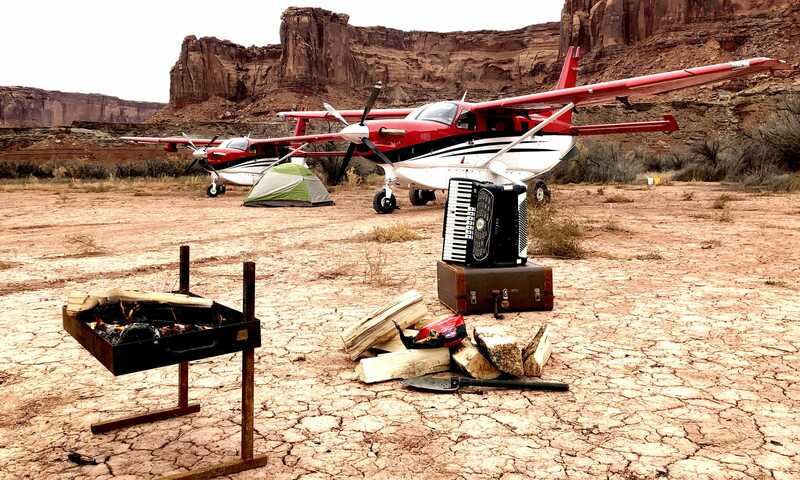 Fresh food, a full kitchen, an accordion . . .everything you need for a fully appointed outdoor experience. One crew member planned ahead. 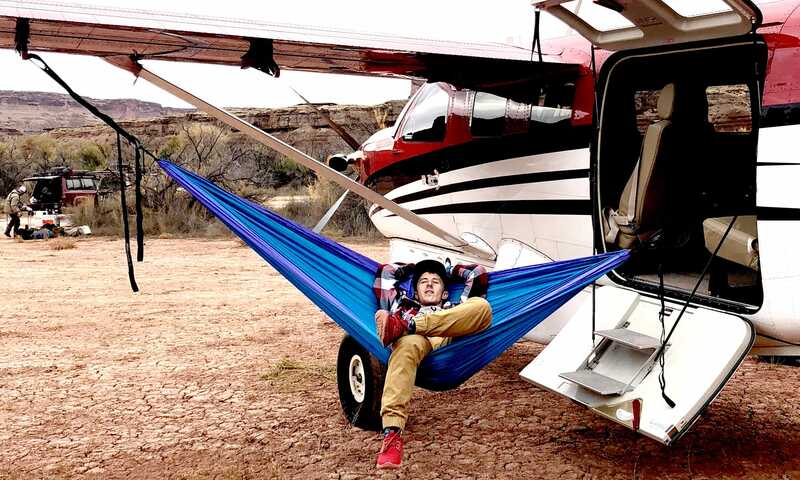 He brought his hammock and strung it under the wing. Nature provided the stars. 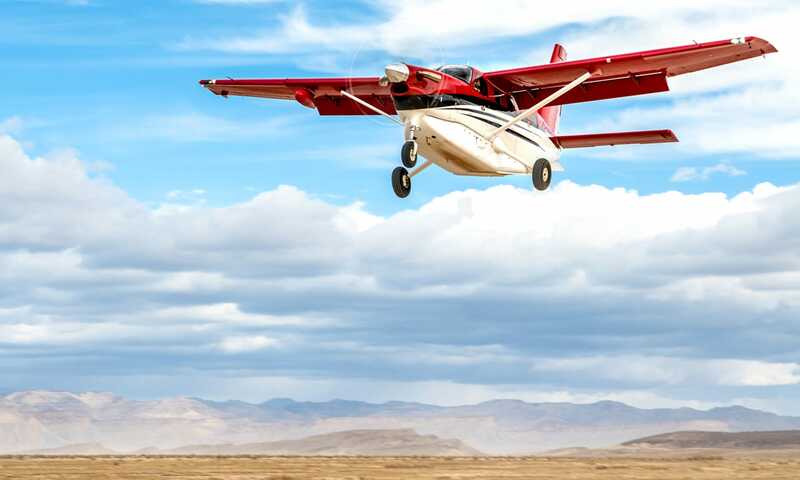 The immense beauty of the place is put in scale with our Kodiak 10-seat STOL. The next day we flew tandem skimming over the cliffs in an air-to-air photographic duet. The weather cooperated to give us clear vistas in all directions. Redtail's two Kodiaks never looked better and never looked out of place. 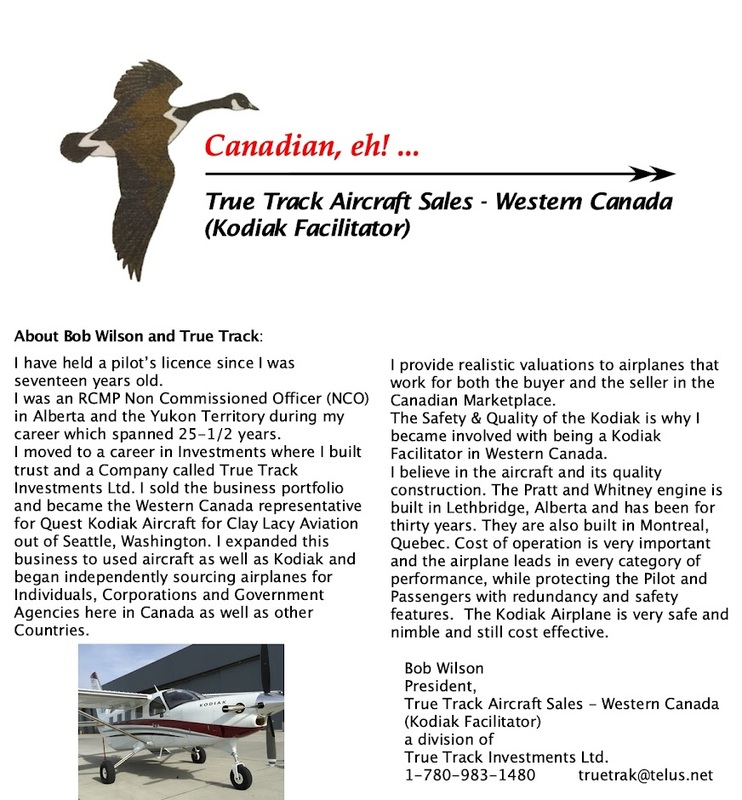 Redtail Air Adventures was one of the first outdoor adventure tour operators to buy the Kodiak. They use them for a variety of services including sightseeing, remote drop offs, film and commercial production and aerial assessments when called on.